For over 90 years, Fort Transfer has been providing the trucking industry with superior quality service and reliability. Fort Transfer is a family owned and operated company with terminal locations in the South and Midwest to help meet the needs of our customers. 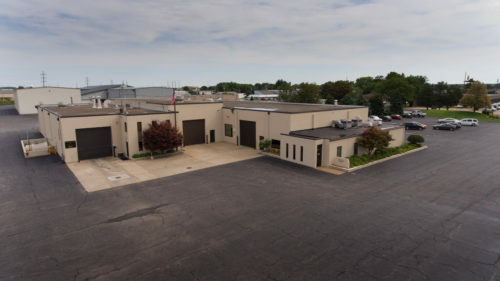 Fort Transfer has become a leader in the specialized services of liquid bulk and operates one of the largest liquid bulk storage facilities in the Midwest. We have not stopped there; as our industry and customers’ needs change, we are driven to continue to provide effective solutions to meet those needs. Fort Transfer was established in 1925 by George Fort, Fort Transfer was strictly a farm-to-market and local freight delivery company serving central Illinois. Fort Transfer was the second company granted Illinois Operating Authority. In 1965, a young entrepreneur, Roger Kahler purchased Fort Transfer and merged it with his father’s excavation company, Ervin Kahler, Inc. Fort Transfer then broadened its operations to include the transportation of hazardous material. Since the merger, Roger’s complete dedication in building one of the finest transportation companies in the country has earned Fort Transfer a reputation as a company that sets the standards for all others. In 2001, keeping Fort Transfer family owned and operated, Brad Kahler, the son of Roger Kahler completed his degree from Colorado State and came back to be the President of Fort Transfer. Since then, Fort Transfer has continued to grow and is committed to improving the world by setting the standard for safe transportation and storage.